Oh man I’m excited, chocolate by mail? What would be better, aside from having it hand delivered to your mouth. 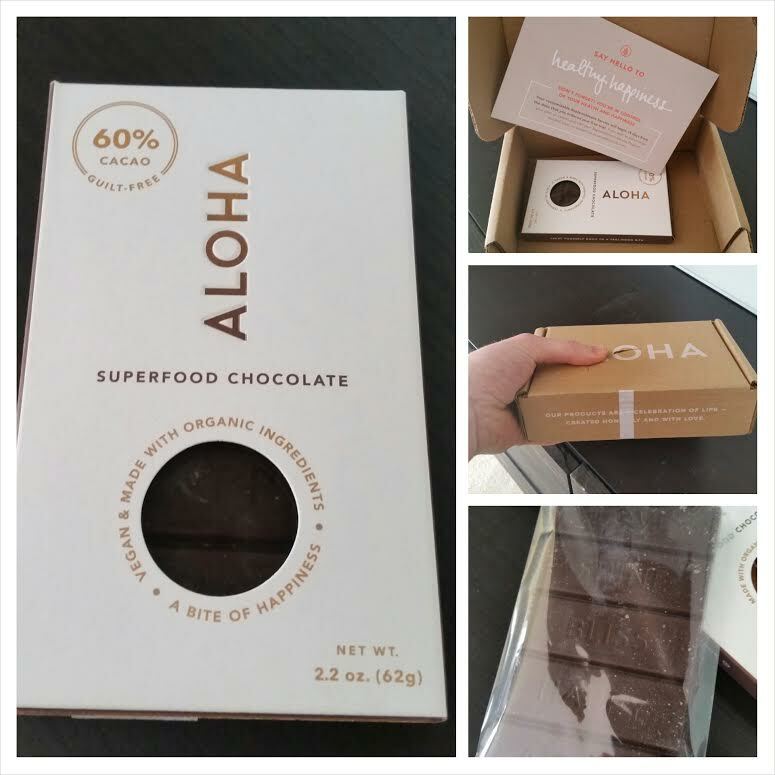 Enter ALOHA chocolate company’s Superfood Chocolate bar. 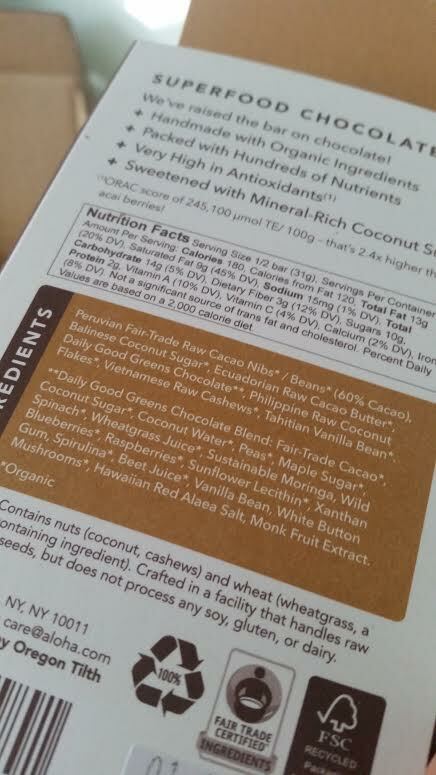 Click the picture to zoom in and read the whole ingredients panel. A nice mellow brown, the color of chocolate in fact! No frilly prints or intricate patterns here. 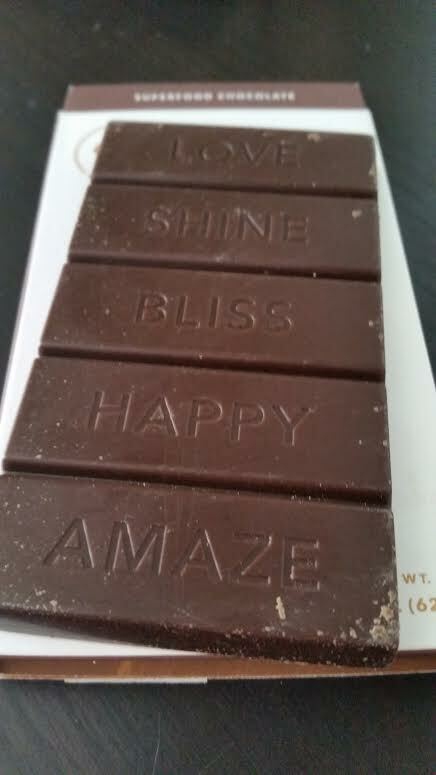 This bar features 5 simple words: Love, Shine, Bliss, Happy, Amaze. It reminds you of the phrases you’re taught as a mantra in the leadership course you took that one summer in high school, remember? It’s also reminiscent of a mindfulness (Read: Meditation) mantra, which actually I find endearing. More on mindful eating here if you’re interested. As always scoring for portion size is appreciated but may prove fruitless as you’ll probably want to eat the bar in a single sitting. 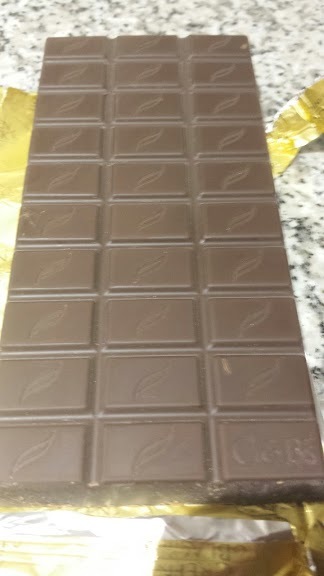 Also just to screw with you its divided into 5 pieces but the serving size is half a bar, thanks ALOHA now I have a complex to go with my chocolate. It is chocolate by mail, what is more fun than that?! But CBTW you can order lots of chocolate by mail. Hush, hush I know. 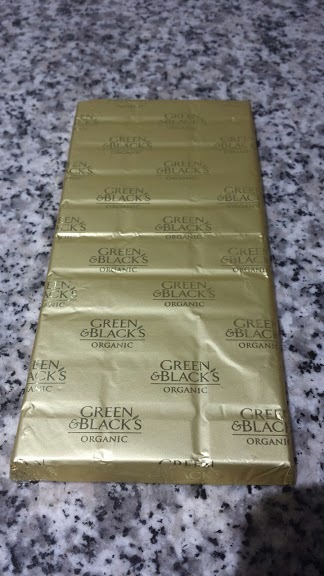 Being that this is the first chocolate I’ve ordered by mail its something special. 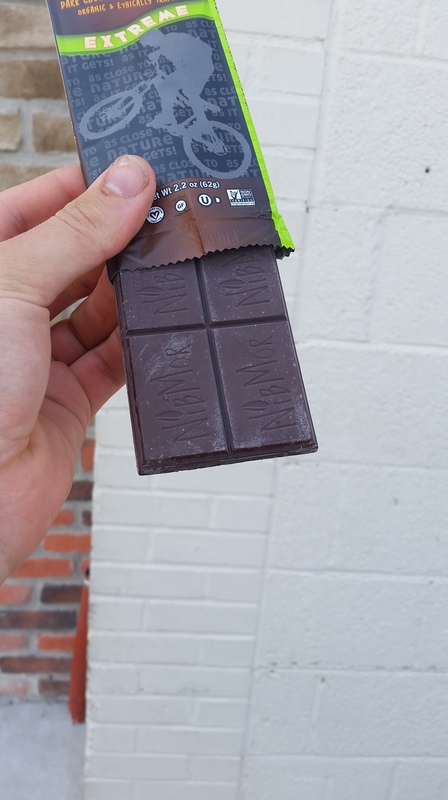 From the packaging, to their well done website, to the incredibly fun part of eating it, it has earned its 9/10. It doesn’t seem that you can purchase this item in store, but you can order it directly to your front door by mail. Available in parcels of 1,3, and 6 you simply go to their site and set up a subscription to auto deliver. 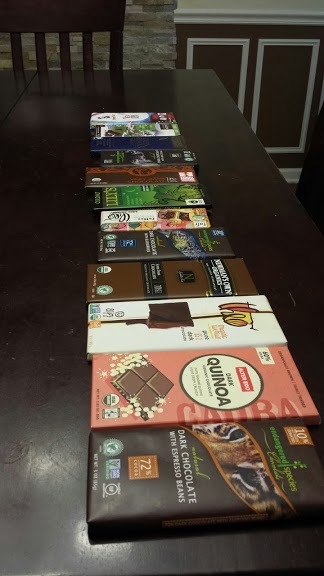 You may also click here (disclaimer: Its a referral link) if you’d like me to earn more free delicious chocolate while you grab your own. 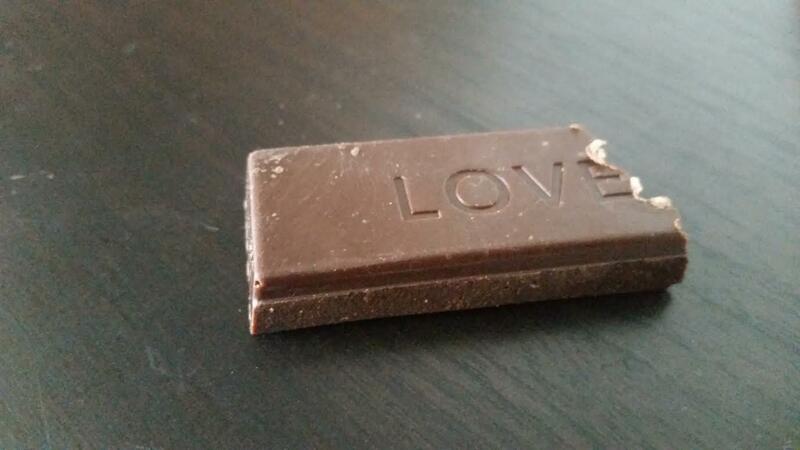 Over all conclusion, love at first bite! 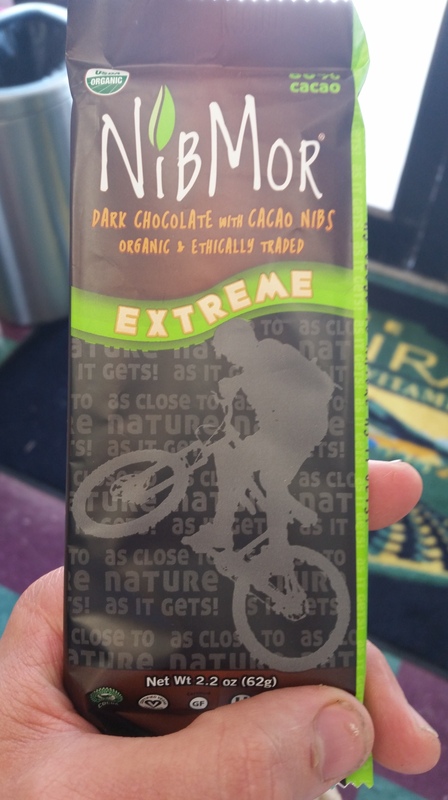 Disappointingly the bar itself lacked the deep smooth brown I’ve come to expect from higher percentage dark chocolate. 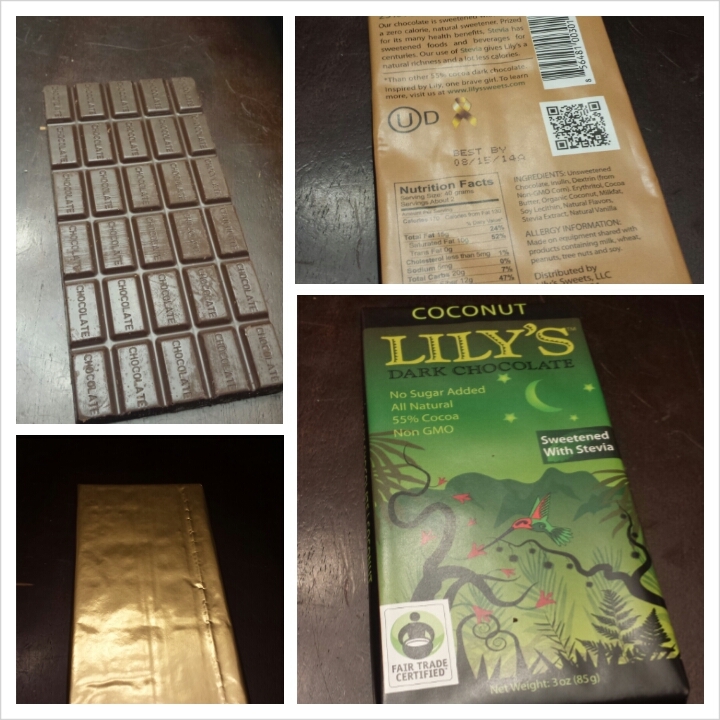 However the stamped familiar leaf logo added a nice aesthetic touch and the scoring lines were a welcome touch as it lends to easy parceling of the bar for a whole weeks worth of enjoyment. 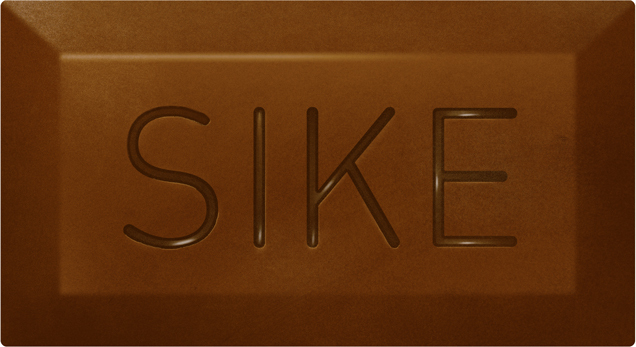 While not overly displeasing the texture of this particular chocolate lacked any standout qualities. I found it to be relatively smooth with a slight grit possibly attributed to a minimal amount of processing of the spices used. I really wanted to give better marks here, considering how much I’ve enjoyed other Green and Black’s confections but I just couldn’t. 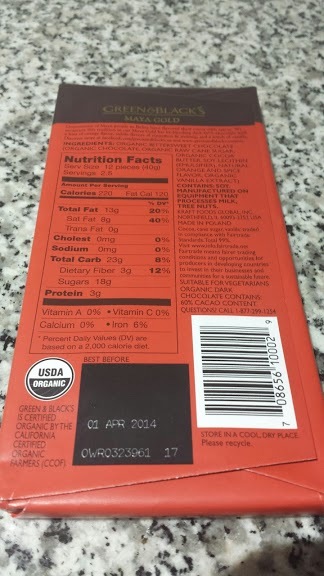 Yes the front text describes the following “Dark Chocolate infused with subtle flavors of orange and delicate spices.” Unfortunately the orange was not so subtle, actually it was borderline distracting overwhelming both the delicate spices and chocolate as a whole. The delicate spices were notable and did add a very nice touch to the taste pallet, but just didn’t balance well with the slightly overwhelming orange flavor. Here’s an area where as usual Green and Black’s tends to make a statement. The presentation, from the simple yet elegantly designed outer packaging to the delicate gold foil wrapping inside is both classic in its execution and tastefully modern. 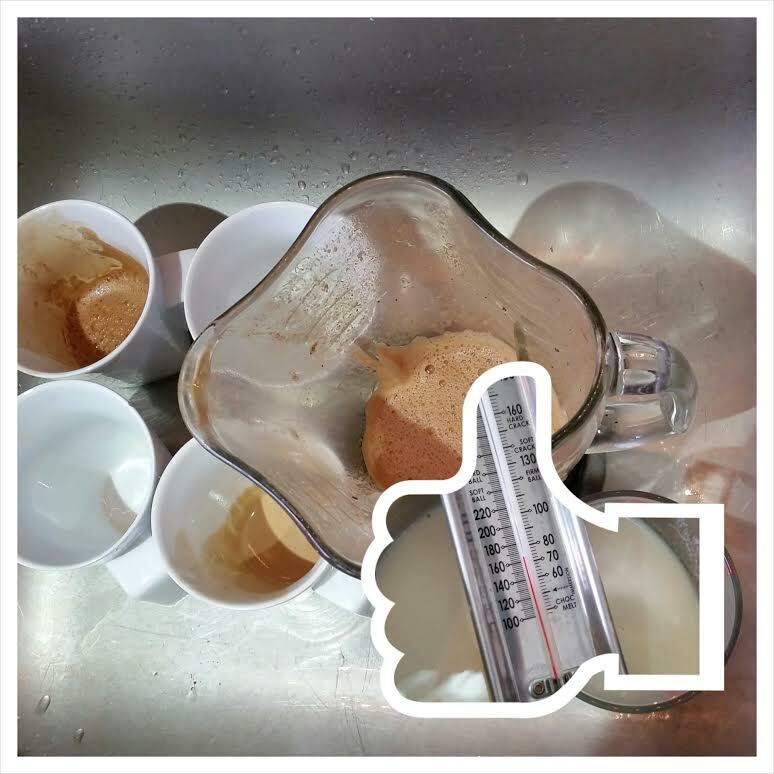 Summary: Over all not a disappointing experience, but not something to write home about. An uncommon miss for Green and Black’s.